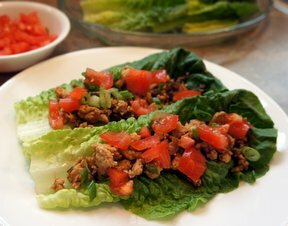 Lean ground turkey is spiced up and full of flavor in these delicious lettuce wraps. These healthy wraps will be a hit with every age group. Ground chicken or ground beef could be used in place of the turkey. Zest the limes. Combine the jalapeno, ginger and lime zest in a mini food processor and pulse until finely chopped, or finely chop with a knife. 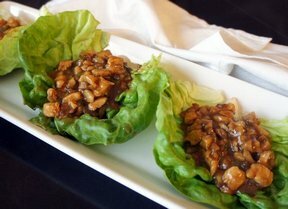 In a small bowl, whisk the juice from the limes and 2 teaspoons soy sauce in a small bowl. Heat olive oil in a large nonstick skillet over medium-high heat. Add the onion and cook, stirring, until soft, approximately 5 minutes. Add the ginger mixture and cook, stirring, until toasted, approximately 1 minute. Add the turkey and the remaining soy sauce; cook, stirring, until the meat is cooked through and no longer pink. Remove from the heat and stir in the lime juice mixture. 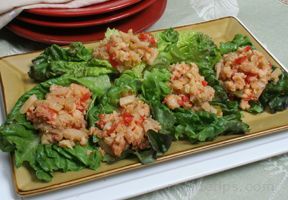 Pile the turkey mixture in the lettuce leaves and top with chopped tomatoes. "Great recipe! My kids loved it with a little cheese on it, too. 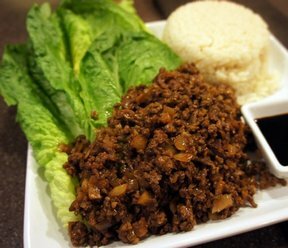 White rice would be great inside the lettuce wrap."